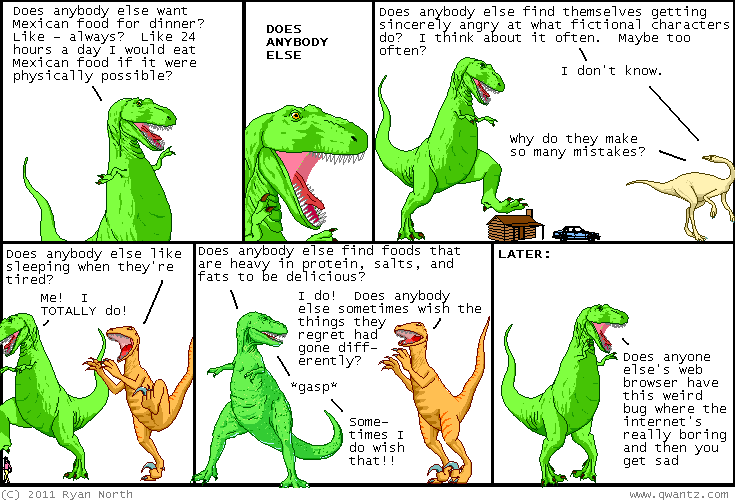 Dinosaur Comics - September 22nd, 2011 - awesome fun times! –Preemptive apology for calling everyone's ancestors a big bunch of a-holes! !